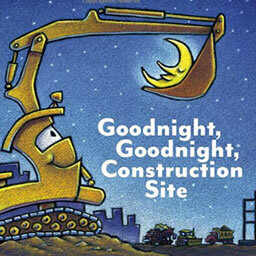 Our Cover to Cover Book of the Month for January is Goodnight, Goodnight, Construction Site by Sherri Duskey Rinker. This fun book provides a great opportunity to talk with your child about the importance of teamwork and how each tractor has a unique job that is important to getting the work done. There are many different types of trucks in Goodnight, Goodnight, Construction Site. Talk with your child about the differences in each truck and their unique jobs. What special job does your child have each day? “Twinkle, Twinkle, Little Star” is the perfect addition to any bedtime routine. Sing this song with your child to help the tired trucks fall sleep. Find the words to the song here! Send a picture of you and your child pretending to be a tractor. Be creative! We can’t wait to see what you loved about Goodnight, Goodnight, Construction Site!